here make for a calming ride up the hill. 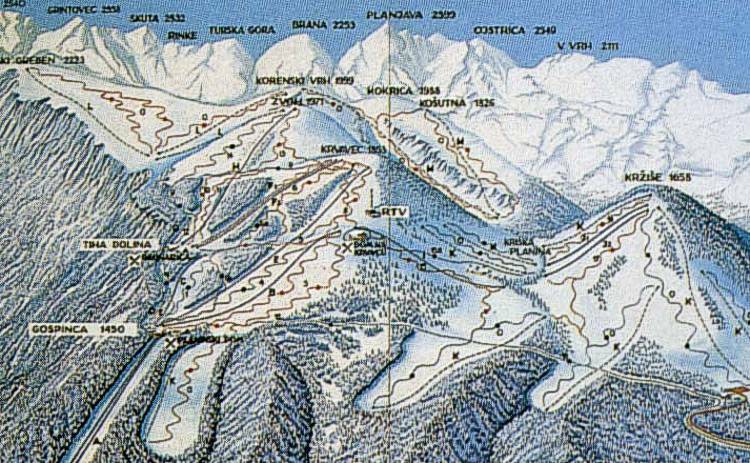 The trailmap on this page will give you a good idea what Krvavec is like. The gorgeous attractiveness of the Slovenia hills and the especially pleasant trails have people coming from all over. Krvavec is a good spot for everyone with loads of blue and green runs for learners. Some people prefer skiing and some snowboarding, either way, around here, you'll bump into loads of great ski hills. The snowboarding and the skiing in Slovenia is a lot of fun all through the winter.